Bursting with the Island’s national treasures this free museum is perfect for families especially on rainy days. 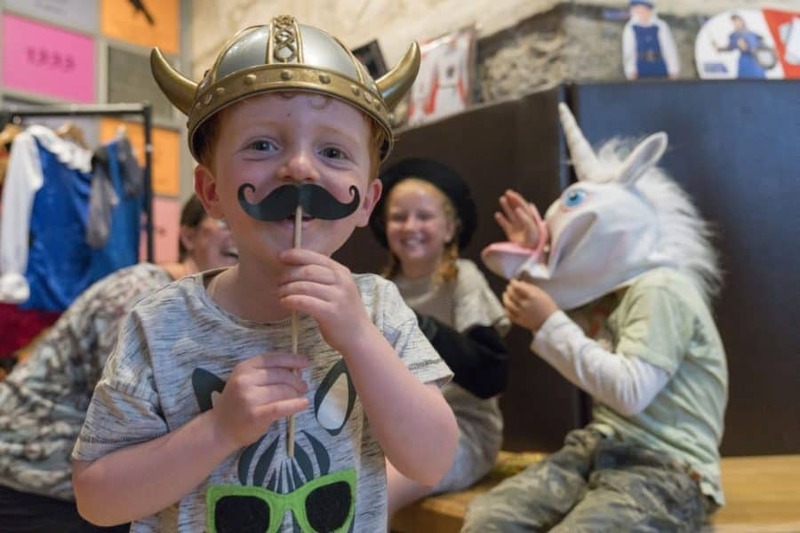 From the wonders of the natural world to unusual curiosities to Viking hoards, children will be inspired by the many things to see and do in the galleries. 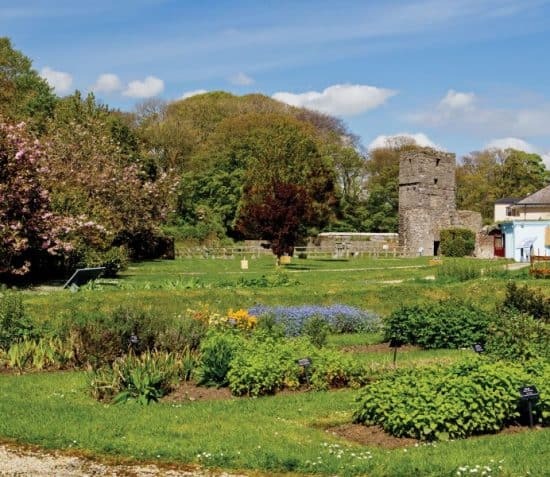 Follow the family friendly Monks for fun things to do at Rushen Abbey, and learn about Abbey life through the ages. The Abbey invites children and families to explore through interactive play – discover which herbs cured common ailments, make sounds of the Abbey and take the fruit picking challenge in the Jam Factory. The Abbey gardens are perfect for picnics, and visitors are welcome to borrow our baby and toddler play mats on arrival. With the ACE card, local schoolchildren go free to all Manx National Heritage sites. Meet the farm animals at Cregneash. From Loghtan sheep, cows and working horses, our family of farm animals love little visitors to pop in and say hello. Borrow a ‘Bee Explorer Bag’ on your visit which includes map and equipment to get up and close with nature on your walk around the village. See the mighty Laxey Wheel turn. Climb to the top for a family photo then put on a hard hat to explore the underground mine. For a real expedition, continue your journey on trails through the valley to see old mine buildings. Play hide and seek in the castle ruins at Peel Castle or try flying your kite in the vast grounds on sunny blustery days. Meet the Loghtan sheep at The Grove. Did you know they love ginger biscuits? See the working bee hive and play a game croquet in the country garden. At the House of Manannan let the mythological sea god Manannan guide you through the Island’s past. Enter the royal court of the Viking Kings of Man and the Isles. Have a go at the games – even dress like a monarch and take your place on the thrones of the kingdom. See some treasure of the empire and the replica Viking long ship Odin’s Raven. Discover the story and the many guises of inventive genius George Quayle at the Nautical Museum. Print out and complete the Nautical’s Discovery Trail on your visit. Climb the spiral staircase to the top at Castle Rushen and spot the mythological creatures and stories in the tapestries. Meet the costumed secretary of the The Old House of Keys and take your seat in the chamber for a debate on key issues of the Island’s past with your family members. Go rock pooling and spot basking sharks at Niarbyl Bay. Play pooh sticks at the medieval Monks Bridge in Silverdale Glen. Spot seals sunbathing on the Kitterland between The Sound and Calf of Man. Step back in time amongst the Iron Age roundhouse and Norse buildings at the Braaid. Find stories and figures in the carved Manx crosses at many places on the Island. Join Elizabeth Main, of Pilates Isle of Man, for a unique, standing Pilates Class at Rushen Abbey for International Pilates Day. 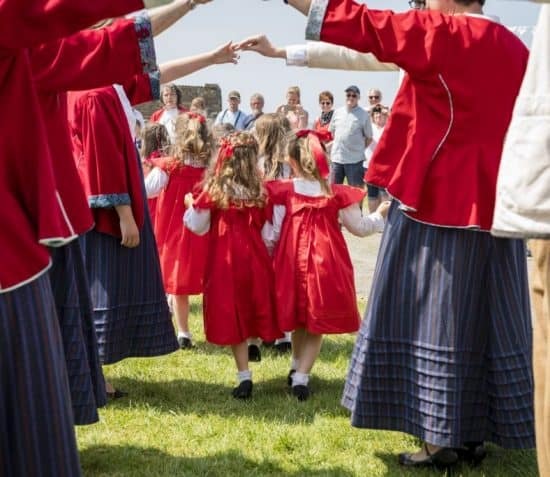 Celebrate Laa Boaldyn with singing, dancing and Crosh Cuirn making. 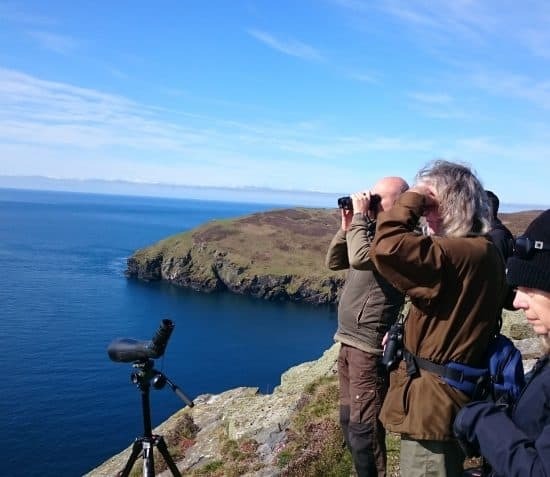 Manx Wildlife Week returns for 2019. Copyright © 2019 Manx National Heritage. The contents of this site, including all images and text, are for personal, educational, non-commercial use only. The contents of this site may not be reproduced in any form without the permission of Manx National Heritage.